China is slowly and gradually making inroads in mega projects to compete the world major giants products. 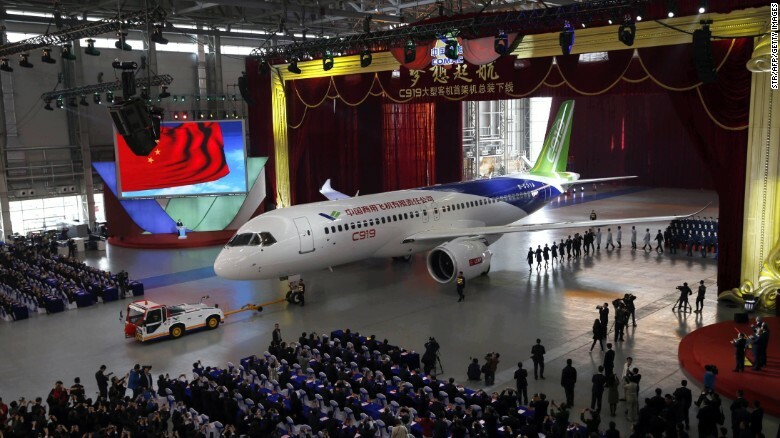 The unveiling of C919 - China's maiden passenger jet is one such big leap China has taken to compete and break the duopoly of Boeing and Airbus. The large passenger plane was rolled off the production line in Shanghai on Monday. C919, a twin-engine, narrow-body aircraft with a seating capacity of up to 174 people, looks similar in size to the Airbus 320 and Boeing 737 series of jets.